Calcium contributes to normal blood clotting. Calcium contributes to normal energy-yielding metabolism. Calcium contributes to normal muscle function. Calcium contributes to normal neurotransmission. Calcium contributes to the normal function of digestive enzymes. Calcium has a role in the process of cell division and specialisation. Calcium is needed for the maintenance of normal teeth. Iron contributes to normal cognitive function. Iron contributes to normal energy-yielding metabolism. Iron contributes to the reduction of tiredness and fatigue. Magnesium contributes to electrolyte balance. Magnesium contributes to normal functioning of the nervous system. Magnesium contributes to normal muscle function. Magnesium contributes to normal protein synthesis. Magnesium contributes to normal psychological function. Magnesium contributes to the maintenance of normal bones. Magnesium contributes to the maintenance of normal teeth. Magnesium has a role in the process of cell division. Manganese contributes to the maintenance of normal bones. Manganese contributes to the normal formation of connective tissue. Manganese contributes to the protection of cells from oxidative stress. Potassium contributes to normal functioning of the nervous system. Potassium contributes to normal muscle function. Potassium contributes to the maintenance of normal blood pressure. ron has a role in the process of cell division. Zinc contributes to normal carbohydrate metabolism. Zinc contributes to normal cognitive function. Zinc contributes to normal macronutrient metabolism. Zinc contributes to normal metabolism of fatty acids. Zinc contributes to normal metabolism of vitamin A.
Zinc contributes to normal protein synthesis. Zinc contributes to the maintenance of normal bones. Zinc contributes to the maintenance of normal hair. Zinc contributes to the protection of cells from oxidative stress. Zinc has a role in the process of cell division. NEW improved recipe. Previously 2nd place in product test: well-balanced, clearly-labeled alkaline powder formula Patented alkaline drink for hyperacidity with high alkaline mineral content Low-calorie, plant-based, lactose-free, gluten-free, suitable for diabetics Tangy flavor. Net weight 210g of powder. Swiss alkaline power for your health! For years the traditional go-to drink for naturopathic doctors. 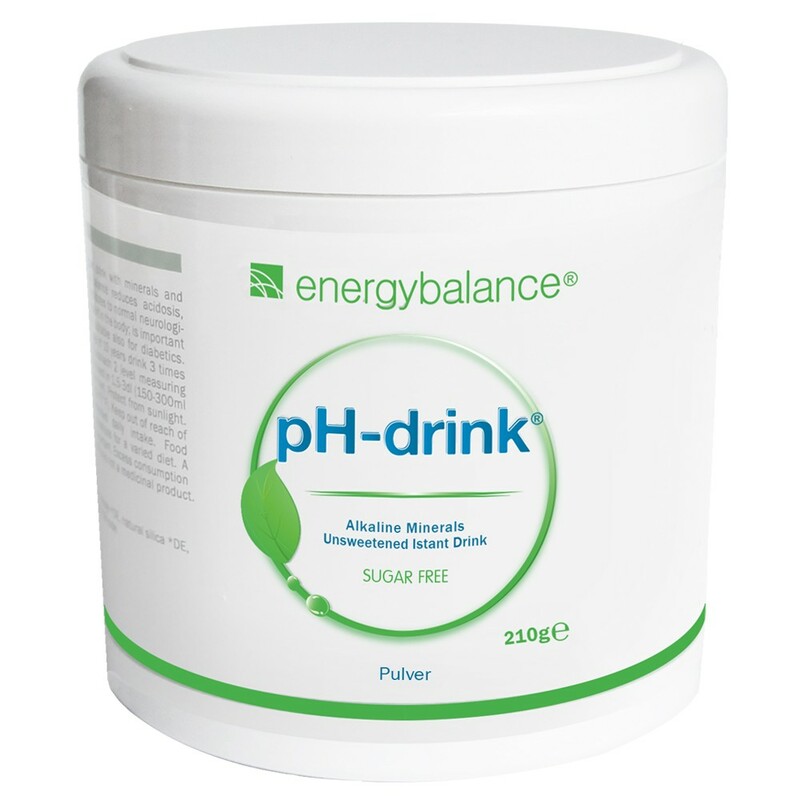 The alkaline minerals are highly bioavailable and easily absorbed by the body. Low-calorie, one 7g-pouch = 11kcal/45kJ, plant-based, lactose-free, gluten-free and suitable for diabetics. Nutritional supplement for adults, teenagers and children over the age of 10. Our nutrition has been moving away from our natural nutritional needs ever since the Industrial Age. Many foodstuffs are no longer produced naturally or have been manipulated. The old cycle of nature-farmer-market-consumer has become a rare occurrence. A so-called foodstuffs industry has developed with its own dynamics. Over the course of this development, no one was really interested in finding out how to produce a diet specifically suited to human needs. Instead, people focused on flavor, shelf life, transportability, efficient production, price and quantity. Quality was defined on the basis of these criteria. In their enthusiasm, people forgot that humans have been developing along with their food over the past 2 million years. Over the course of evolution, our digestive tract and other organs have adapted to the food naturally available to us and have developed alongside these foodstuffs. Major changes in diet, like those we are currently exposed to, create problems for our bodies. The human organism is a combination of chemical laboratory, computer, power plant, audio/video studio, etc., and spirit, making it incredibly complex and sensitive. Our bodies need a healthy balance between acidic and alkaline levels to survive. Acidic and alkaline levels influence and control a wide variety of our organism's functions. They also affect the flow of positively and negatively charged ions, otherwise known as electric currents, which for their part control important information and bodily processes. All processes are intertwined and interdependent and some have still not even been studied. What we do know is that our so-called normal, contemporary diet puts more acids into our bodies than our bodies are genetically able to compensate for. Many of these acids are produced when we are stressed or result from the metabolism of simple carbohydrates and proteins. Simple carbohydrates include white flour, white sugar and other refined products that have been stripped of their natural fiber, minerals, trace elements and vitamins. The lack of these nutrients and fiber often causes constipation and acid-forming fermentation. Food that undergoes refinement is also often stripped of important alkaline minerals such as calcium, magnesium, iron, zinc and manganese. Highly refined foodstuffs have actually been denatured and no longer constitute natural nutrition for our bodies. The short period of time that has passed since the start of the Industrial Age is not enough for our bodies to have adjusted to this modified diet. Today's children are growing up with nutrition not suited to their bodies and take these poor nutritional habits with them into their adult lives. People have a hard time breaking habits. Even if the above statements make sense to you, that doesn't mean that tomorrow you are going to change your diet to include natural, wholesome, fresh food that gives your body what it needs. Most people find it difficult to take this step and need several attempts before they actually do. If you are already aware that your body has had to go without key alkaline minerals for years, and still needs to make do without alkaline minerals based on your current diet, it is high time to take the first step toward better nutrition. Start by taking a nutritional supplement to close the gap. The second step will be to optimize your nutrition. According to the 2000 German Nutrition Report, children between the ages of 10-13 only consume an average of 695.1mg of calcium per day. The recommended value, however, is 1,100mg per day. This age group consumes 36.8% less calcium than they need. According to the same report, people between the ages of 25-51 consume 827.2mg of calcium per day. The recommended value for this age group is 1,000mg per day. This age group consumes 17.3% less calcium than they need. According to the nutrition report, none of these age groups consume enough calcium. Protect your body from osteoporosis and other effects of harmful hyperacidity. FRH-drink™ is a patented instant alkaline drink. It is a perfect daily nutritional supplement and helps balance your acid-alkaline levels. Alkaline minerals and trace elements reduce the amount of acid in your system, improve cellular metabolism, encourage your body to flush out waste products and increase cellular oxygen intake. Medical studies show that the bioavailability of calcium citrate is around 22% - 27% or 20% - 66% (depending on the study) higher than that of calcium carbonate. That is why most of the ingredients in FRH™-drink are more expensive and more effective citrate compounds. Around 20% of the German population suffers from a latent milk allergy. Dairy products have an acidic affect on these people because they ferment in the digestive tract instead of being digested. Milk contains the sugar, lactose, and the protein, casein. We need casein to break up the chymase enzyme. The levels of this enzyme reduce with age in all mammals. Once you have lost your baby teeth, it is basically no longer present in your digestive tract. FRH™-drink is plant-based and does not contain lactose or gluten. We offer an FRH™-drink with fructose for the discerning palate. The glycemic value of fructose (its effect on raising blood sugar levels) is 23%, which makes the drink suitable for diabetics, too. Calium is necessary for cell growth and skeletal muscles and supports intestinal and cardiac function. Calcium is an essential mineral for building bones and teeth. It plays a key role in transmitting nerve impulses. Magnesium is a component of bones and teeth and is indispensible to normal muscle function and energy metabolism. Magnesium plays an important role in transmitting nerve impulses during muscle contraction. Iron is necessary for blood production and transporting oxygen for tissue energy production. Zink is necessary to maintain normal metabolism of protein, carbohydrates and fat as well as for energy production. Manganese activates different enzymes, affects bone growth, reproduction, neurological functions and the metabolism of fat and carbohydrates. Dosage for adults and children over 10: twice a day, dissolve 1 pouch (7g) of FRH-drink™ in 2-3 dl of still water and drink 15 minutes before eating or on an empty stomach.